September Writing contest: My Goals for this year. What goals will you reach this year at school? In no more than 4 paragraphs tell me what you plan on doing this school year. If you have not thought about this perhaps this is a good time to take stock and think about it what you intend on improving this school year. Then tell me what you want to do this year. Choose one thing you want to change in terms of learning and one thing you want to change in terms of behavior. 1. Introductory Paragraph Introduce yourself and what you are writing about. 2. Academic goals This is what you want to do to improve your learning. Did you want to improve your math skills? Maybe learn how to multiply numbers. Maybe you improved your ability to write. Maybe you want to become a better reader or a better writer. Give details. 3, Behavioral Goals: This is refers to your behavior. Maybe you want to get better control of your behavior. Or you plan on being nicer to other students and consider how others feel this year. Maybe you want to be a better listener or follow rules more closely. Perhaps you stopped bullying other students. Or maybe want to become less shy and join in play and classroom activities more often. The third paragraph should tell me how you plan on making these changes. If you want to gain control of your behavior are you going to create a plan with your counselor or para or parent. If you want to be a better reader are you going to make sure you read everyday at home for 30 minutes each night. There are three levels of winners. 1st Prize is 10 dollars these are written pieces that include and introductory paragraph, both a behavioral and learning goal and a clear plan on how you are going to make these goals a reality. These written pieces have a clear beginning, middle and end. They are written in complete paragraphs for each goal and the plan. The writing is engaging and clear and the paragraphs include many details. 2nd Prize is 5 dollars these are written pieces that may include both a behavioral and learning goal and may contain plan on how you are going to make these goals a reality. These written pieces have 3 distinct paragraphs include some details and for the most part are ordered and are somewhat clear. All written or blogged entries must be in to me by Wednesday September 20th. Either hand written clearly or typed. You can blog them here if you want just include your first and last name as well as class teacher’s name. Bullying is a major issue in schools at in life. In a written piece write what you think about the problem of bullying in school. Why you think people choose to bully other people. How would you personally handle it if someone bullied you? What can teachers and students do to stop or lessen bullying in their classrooms? Do you think parents can help? What about counselors? There are 10, and 5 dollar prizes for the best written pieces. Click on the Photo of King to Listen to a Podcast of this Post. This a a quote from Martin Luther King on peace and he is giving his opinion if he believes peace is possible in our world. You can look up any words you do not know by going dictionary.com, typing in the word and getting the definition. Read and Discuss MLK’s words, what is he saying? Look at the imagery he uses to get his point across. What does he mean by this? How is racism and war like a “starless midnight?” How is peace and brotherhood like daybreak? What does he mean when he says “…right temporarily defeated is stronger than evil triumphant” ? How does this sentence relate to the civil rights movement and the long battle for equality? What is King saying about peace? Do you agree with him or not? Do you think piece can be achieved even in the face of hatred and war? How? Why? Best Pieces will be Podcast and win prizes!! Deadline for Pieces January 30th, 2009. 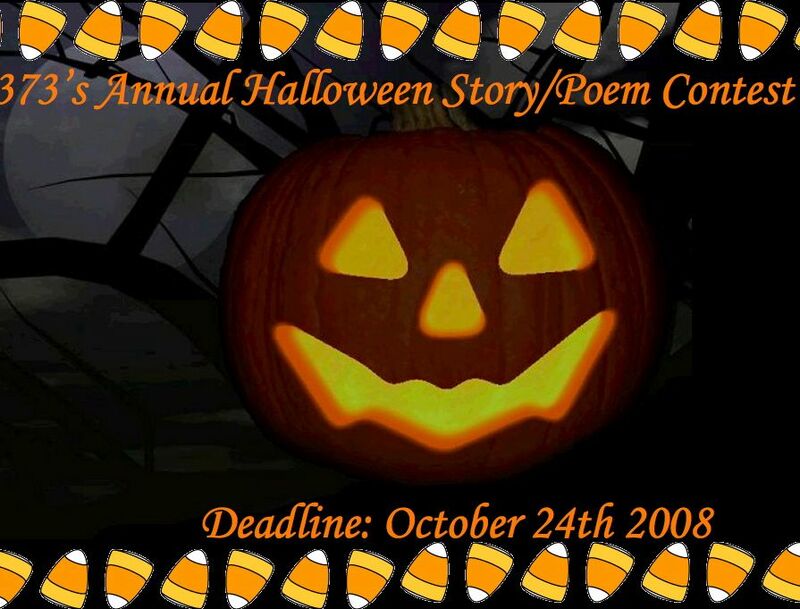 Deadline is October 24th, 2008. All stories should be blogged on this link. A separate award will be given for poems. What wins this contest is good writing. An original story, clear and interesting characters, and good descriptive writing . All entries receive a prize in addition to the prize categories. The winners and the best of the bunch will be podcast here. 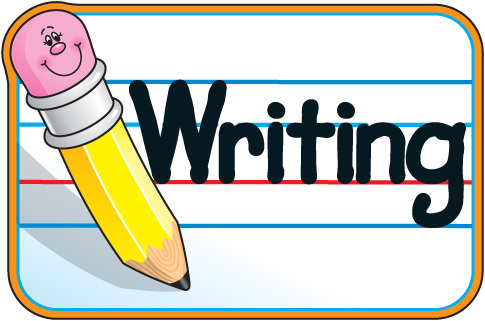 Below is a rubric that will tell you how the writing will be judged and prizes awarded. Announcing our First Writing contest of the Year! 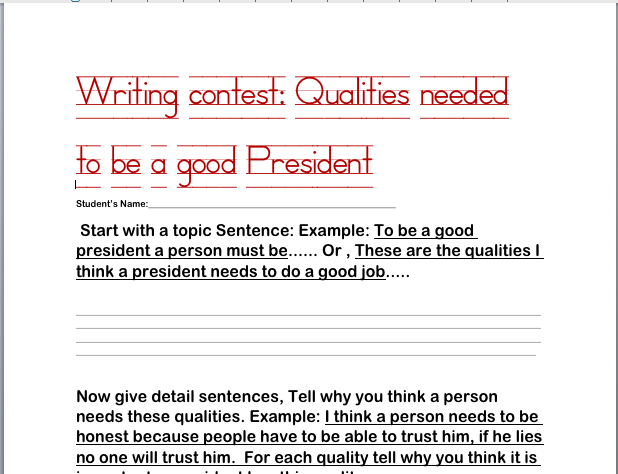 We are kicking off our writing contest off with a contest dedicated to our Presidential Election. We have been talking in our classes about the Presidential Election and what the president does exactly. We came up with a list of jobs the President has 1. Passing Laws, 2. Making a budget for how the country will spend their money, , 3. Making policy which are plans for the countries future, (E.G. the president come up with a plan for education, the environment, the countries defense , the presidents makes plans for every facet of our country. These plans are called his policy. 4. 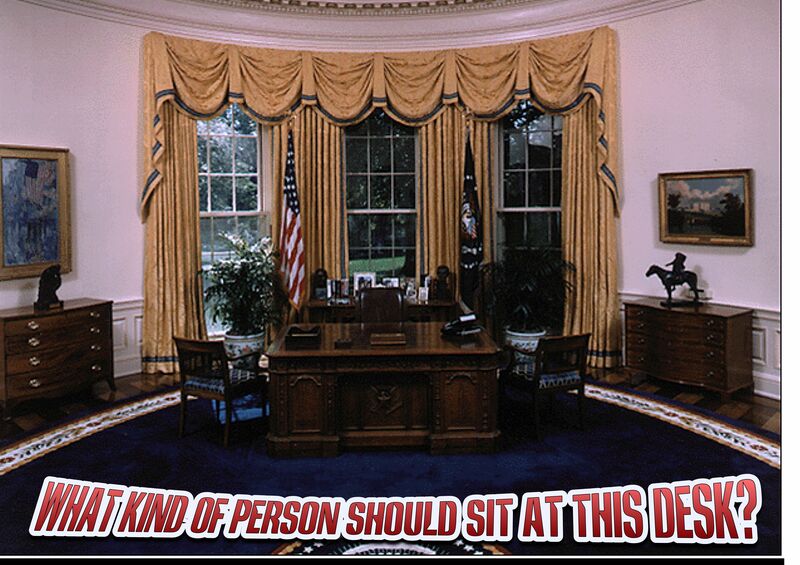 He also puts together a group of experts called a Cabinet to help him make policy and help him decide what to do. 5. He appoints judges on the Supreme court, 6. He works with other nation’s leaders, making decisions on how we will interact with other countries. 7. He makes speeches and keeps the nation informed on how things are going in our country, 8. He leads the armed forces. You can download a rubric of how entries will be judged here later in the week.